Competition - Win a Trijicon Accupoint scope worth over £800! 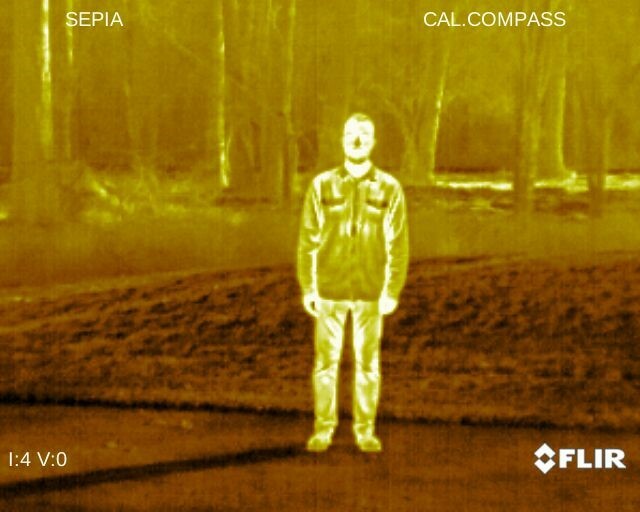 The FLIR Breach PTQ136 is a tactical thermal imaging monocular built for the rigors of tactical deployment and law enforcement, allowing the operator to spot the heat of living objects and terrain in total darkness, even when traditional optics such as day scopes, night vision etc are impeded by adverse weather conditions, grass foliage etc. Featuring the new 12μm BOSON core, 1280x960 HD Display and a tactical compact design, BREACH can be used hand held as a thermal spotter, or helmet mounted for hands free tactical use, allowing you the ultimate in battlefield situational awareness, but also perfect for hand held viewing when hunting, or for security and surveillance, with a zoom function for close up detail and identification. The FLIR Breach offers unmatched visual awareness, weighing only 210grams, it can be concealed in a pocket or mounted to a helmet with its mini rail feature, while adding minimum weight to the operators heavy gear. Additional features include onboard recording, seven colour palettes for providing high res imagery and also for detecting targets hiding in cover, providing fast detection, target acquisition and take down, day or night, in ANY weather conditions. With a digital compass system and inclinometer for situational awareness. Breach is packed with features, document operations with on board video recording and image capture. Choose from multiple palettes to perfect viewing during varied situations. Enhance situational awareness with a digital compass and inclinometer.